Learning about Project Haystck and the wonders of tagging and data modeling just got easier. The Project Haystack organization officially launched a new marketing website designed to promote the vast marketing activities driven by the growing Haystack community and focused on promoting the value of smart data and semantic tagging. To date, the website has been solely for the developer community, featuring updates on semantic tagging, forum discussions, and Working Group activities. The new site features a modern and sophisticated design that really showcases our community’s events, resources, news, blog posts, etc. You can check it out at marketing.project-haystack.org. This is a great step in the right direction. Project Haystack has already gained traction and adoption and established its value in the building systems industry. But the Haystack methodology is not just about HVAC, temperature sensors, fans, meters, and building systems. The IoT, BIoT and the IIoT are bringing diverse smart devices into homes, high-rise commercial buildings, industrial facilities, factories and agriculture. The goal of the new website is to help these markets see the potential as smart devices proliferate into solutions no one could have ever imagined even a few years ago, to learn who the suppliers and end-users are from around the world, and why implementing a data management strategy that includes tagging, has become so critical. 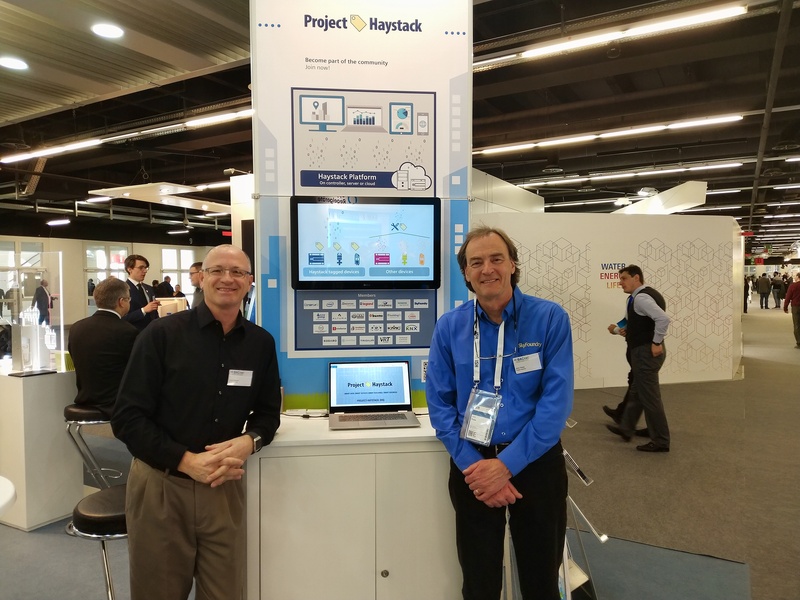 The J2 Innovations team was joined by John Petze from Sky Foundry at the ISH 2019 show in Frankfurt, Germany where we not only promoted Project Haystack, but got to show off the new website. Here’s a photo of us from the event. Check out our videos to see first hand how we use tagging and data modeling in FIN technology. Since its formation in March of 2011, the Project Haystack Organization, a 501(c) non-profit trade association, has been providing the industry with an open-source, collaborative environment to address the challenge of making data self-describing using semantic modeling, also known as data tagging. The work developed by the Project Haystack member companies and community streamlines the process of managing, presenting and analyzing the vast amount of data produced by smart devices and equipment systems. The Haystack methodology can be used with virtually any type of system and device data and is not tied to any vendor or communication protocol. More information about Project Haystack is available at: https://www.project-haystack.org. The new marketing website is at: https://marketing.project-haystack.org. The Developer Site, with information about the Haystack methodology is available at: https://www.project-haystack.org. The Discussion Forums can be found at: https://www.project-haystack.org/forum/topic.